Let’s talk periods. Talking Heavy periods. There’s something you don’t hear people say often. Like many women’s health issues heavy periods have always been something of a taboo. 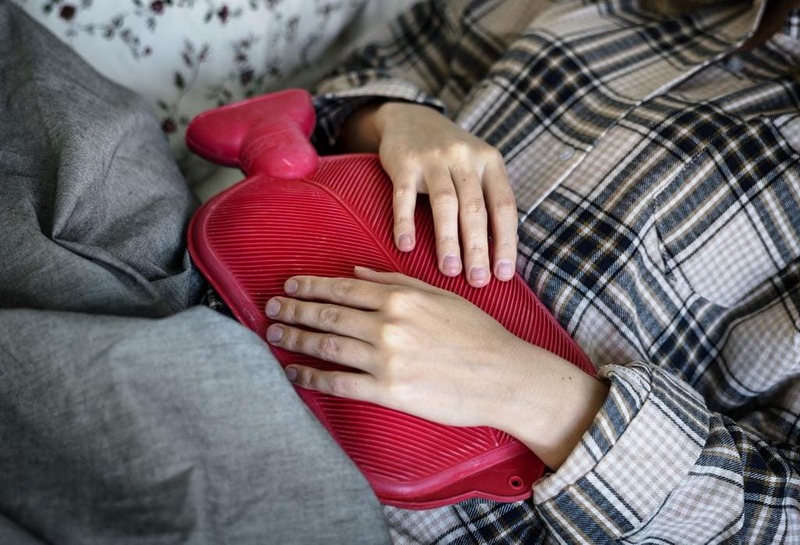 I am not one to shy away from issues, I’m happy to discuss my experience with heavy periods in the hope that it makes other women realise that they are not alone and that it helps to normalise the condition and break the taboo and stigma surrounding it. I say condition because heavy periods are actually a medical condition & as such they are something that your GP can help you with. When I went to the GP about my heavy periods I had a blood test to check for any hormonal imbalances & to see if the heavy periods were causing any vitamin imbalance like lack of iron (anaemia). My periods had always been quite heavy; even when I was at school I remember suffering with them. The doctor could not find any hormone imbalance and just suggested iron tablets to help with the anaemia that my heavy periods had caused. I am still glad I had got it checked out though because there are lots of medical reasons that can cause heavy periods such as fibroids, endometriosis, polyps, hormonal imbalances, Polycystic Ovary Syndrome (PCOS) and Pelvic Inflamatory Disease (PID). Menorrhagia is the medical term for heavy menstrual bleeding, or heavy periods and can be defined as a loss of an excessive amount of blood (8 teaspoons or more) during each menstrual cycle. My heavy periods are so bad that they cause me physical symptoms. The symptoms usually begin about a week before with mood changes. Then 2-3 days before the period arrives I tend to develop a horrendous migraine & suffer from dizziness in this build up to my period. These are usually so bad that I literally plan my diary around them. I try to keep the weekend before my period as a ‘quiet one’ as I know I am going to feel awful and need to sleep a lot more than normal. On the actual day the period starts the migraines and dizziness then subside; giving way to extreme fatigue and nausea (I have often thrown up on the first day of my period). Having to plan a week once every month due to heavy periods is awful, but it is the best way I have found of coping with them. I am not alone and if you suffer from heavy periods then nor in fact are you. A survey conducted by Wear White Again amongst women with heavy periods demonstrated how the condition affects physical and emotional wellbeing and quality of life. These symptoms have a real and very dramatic impact. These statistics are all too real for many women; myself included. Yet still there seems to be a wall of silence around the issue. We don’t talk about the times that we have bled through due to embarrassment. We don’t admit that the events we have missed are due to our heavy periods; we come up with a different excuse as somehow, we don’t feel the truth as adequate – this is all largely to do with the taboo and lack of understanding that surrounds heavy periods. It would be easy to think that this lack of understanding comes only from men, but it doesn’t. It mainly comes from women. Those who have it easy every month with light periods are always the quickest to judge. This makes the taboo spiral. Let’s support each other. Let’s discuss openly and honestly our experiences around heavy periods and then, and only then can we begin to break the taboo. Check out the amazing work of Wear White Again who have campaigned daily to inform women, break the taboos and provide valuable support for those like me who suffer from heavy periods. Disclosure: This post is in collaboration with Wear White Again.